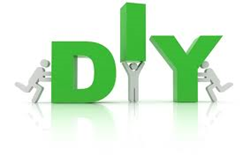 Do-It-Yourself security system companies may seem similar to the average consumer, but SecuritySystemReviews.com has released detailed reviews and a recommended list of the top Do-It-Yourself security system companies for 2014. The list can help consumers understand the differences between leading Do-It-Yourself installation companies. With Do-It-Yourself security systems becoming extremely popular, the home security experts at Security System Reviews have recently published impartial reviews of the leading Do-It-Yourself (DIY) security systems in the country. SecuritySystemReviews.com’s DIY security system reviews were designed to provide the most comprehensive information so that readers could make the right choice of DIY security system. While there are plenty of DIY security solutions to choose from in the market today, the review site’s system reviews highly recommends four security system companies – FrontPoint Security, Protect America, Vivint Home Security, and LifeShield Home Security were named as the top DIY security system companies. Each of these companies passed SecuritySystemReviews.com’s assessment based on the following criteria – affordability, ease of installation, customer service, and warranty. Bearing the seal of approval from the review site, any of these companies could satisfy the security needs of homeowners. SecuritySystemReviews.com’s stressed in the site that prior knowledge of the security system company is fundamental to taking on the task of installing the security system they purchased. This is because the decision of whether or not to avail of DIY installation should not only depend on whether the consumer is handy enough to take on the job. The DIY security system company’s chosen company’s equipment quality, documentation, and customer support also play a crucial part in how difficult the installation process is for the regular consumer and should also be, therefore, considered. SecuritySystemReviews.com’s DIY security system reviews will be continuously updated as the featured security system companies are monitored closely to see if any of them are making changes to boost their ranking. The staff behind the review site will watch for changes in price, technology, and for discount coupons to ensure that the information provided on the site is accurate and up-to-date. Complete and comprehensive reviews of SecuritySystemReviews.com’s best DIY home security systems are now available at the site for free. The reviews are of service to guide consumers throughout the whole process of choosing the security system provider, purchasing it, and the Do-It-Yourself installation. SecuritySystemReviews.com is the ultimate resource site for the latest innovations and information on security systems. It provides readers impartial, thorough, and professional reviews of the leading security system companies in the market. The reviews were designed to help consumers educate themselves before purchasing a home security system. It is committed to putting interest of the potential security system buyers first before any security system company.